Is popular science capable of dismissing astrology as mumbo-jumbo? Two years ago, NASA published a blog post aimed at kids and against astrology, dropping hints that the astrological signs of everyone had been changed and that there are thirteen constellations in the zodiac instead of the twelve. NASA is a ‘sacred place’ of ‘science in popular culture’ and many people are fond of quoting statements by NASA. The blog post was severely misinterpreted and quoted erroneously by the ‘rationalists’ and enemies of astrology. Therefore NASA had to state their position clearly again. Using its academic power and authority against astrology, so-called superstitions and religions is not just limited to NASA. Some popular science writers such as Richard Dawkins also use propaganda against religion and astrology. Can we say astrology is completely a myth? Is science really powerful enough to debunk astrology? We have to reexamine the arguments that those who are critical of astrology present to justify their claim. The common attitude of the people who follow science in the popular culture is that astrology is a fable of fools who think that the earth is flat and the whole universe rotates around the earth. This is clearly a straw man argument. In fact, Western astrology developed according to the theories of Aristotle and Ptolemy. Aristotle is regarded as the first person in the Western world who stated that the earth was a globe. On the other hand when we take Eastern astrology, the 53rd verse of the 12th Chapter of Surya Siddhantha, a fundamental book of Indian Astrology, clearly states that the earth is a globe. “53. and everywhere upon the globe of the earth, men think their own place to be uppermost but since it is a globe in the ether, where should there be an upper, or where an underside of it? “ 54. Owing to the littleness of their own bodies, men, looking in every direction from the position they occupy, behold this earth, although it is globular, as having the form of a wheel." - Burgess, Ebenezer. “Translation of the Surya-Siddhanta, a text-book of Hindu astronomy: with notes and an appendix.”Minneapolis: Wizards Book Shelf, c1978. (1978). Therefore it is crystal clear that the ancient astrologists knew that the earth is a globe. The word ‘Bhu Gola’ (Earth Globe) was in Vedas and Puranas from very early time in India. The Buddhist text Milinda Panha also implies that the earth is a globe introducing the time differences between the countries. Geocentrism (which says the sun revolves around the earth) is not a point to blame astrology either. Geocentrism and Heliocentrism (which says the earth revolves around the sun) is equally justifiable in a modern relativistic perspective. Astrology needs only kinematical calculations (calculations on the paths and not on the forces). Therefore even if we stick to Newton’s classical physics, still there’s nothing to denounce astrology. 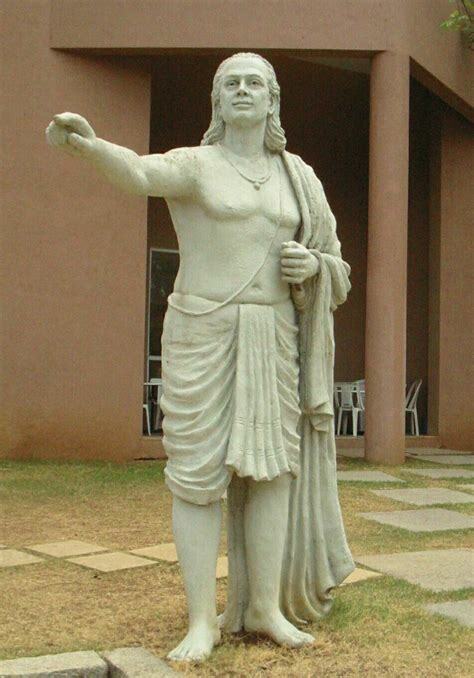 Work of Aryabhatta, a famous Indian astrologer and astronomer shows that he used a heliocentric model and even ellipses for some of his calculations. According to the origin legend of Surya Siddhantha the inventor of astrology (Maya Asura) got that knowledge from a God who had lived in the sun and reincarnated in the city of Romaka. A possible interpretation of the core of this legend is that the first theories of astrology were created with respect to the sun and then they were transformed with respect to the earth. Apparently if astrologists want to calculate the fate of people who are living on earth, by watching the night sky, they have to do calculations with respect to the earth. Therefore, it seems quite stupid to ask astrologists to do calculations with respect to the sun. The next argument against the astrology is the one that was mentioned in the NASA issue mentioned above. There are two kinds of astrologies in the world: Sidereal and Tropical. In tropical astrology the sign system is based on the vernal equinox of the Northern Hemisphere while the Sidereal sign system is based on the positions according to the ‘fixed stars’. Those who reject astrology use this difference cunningly. They blame the tropical system saying the astronomical constellations are shifting gradually from sign boundaries while blaming the Sidereal system saying the Vernal Equinox is shifting. However, a closer look at these arguments. The idea of the sign is something defined in the corresponding astrological system. A sign is not a constellation. It is a different concept. Therefore scientists should not just criticise astrology by mixing up the terms ‘sign’ and ‘constellation’. Signs are given names of the constellations only because they are located close to that constellation. Therefore 13 constellations on the ecliptic do not require 13 astrological signs. On the other hand, astronomers also use a Sidereal System. Sometimes, you hear and read arguments of so-called Astronomical Pundits in Sri Lanka when we are about to celebrate the Sinhala New Year. They show us diagrams and stellar maps to say that the sun goes to Aries on the 18th and not on the 15th. They blame astrology and also the cultural values of Sinhalese while pretending they are to be the fathers of civilisation and modern knowledge. “Sinhala New Year is a mythical festival,” most of them say. But most of these ‘pundits’ have missed the crucial point. Yes, both astronomers and Sri Lankan astrologers use Sidereal System. But this does not say that the two sign systems are equal. The astrological system is not strictly based on constellations. They divide the complete 360° angle of the ecliptic into 12 equal parts which are called signs. Astronomers work according to IAU (International Astronomical Union) sign system where they divide the ecliptic into thirteen uneven parts. It is clear that boundaries are different. That’s the reason why they find the Sun entering Aries on 18th April when they surf the internet. This has nothing to do with astrology. In astrology the boundaries are different. Another point made by those who criticise astrology is that there is no force which is strong enough to affect people considering the huge distance from the stars and planets. This argument is invalid because there is no need of such forces for the existence of astrology. If the behaviour of human society can be expressed mathematically in some aspects, then there would be periodical functions in human society. If these functions are coinciding with planetary motions then planetary motions can be used to predict the future. Therefore, science does not provide us a proper reason to reject astrology. Early scientists, Galileo and Kepler were astrologers. Galileo had his chair in the University Padua to teach astrology to medical students. Kepler tried to reform Western Astrology and invented a new astrology which he called ‘Science of Harmonics’. He wrote a book on his new astrology. Giordano Bruno who is identified as a martyr of science by the popular culture never was a scientist but an astrologer and occultist. I am not an astrologer. What I want to say is that the claims of ‘ science in popular culture’ against astrology are mostly uninformed and we cannot reject astrology in such a simple manner.